Could the greatest inventions of the twentieth century and beyond potentially be the products of reverse engineered alien technology? Inside Hangar 1, MUFON files trace mankind's technological boom to materials reportedly recovered from UFO crashes in the 1940s. MUFON investigates allegations of alien engineering, from the birth of the transistor in the 1950s, to military UFOs in the Middle East. Is our modern world built on a foundation of borrowed–or stolen–technology? - VF : Depuis 70 ans, la technologie se développe à toute allure. Révolutionnant de nombreux secteurs et offrant à l’humanité des possibilités autrefois inimaginables. Et si ces progrès avaient été réalisés grâce à l’étude de décombres d’OVNI ? 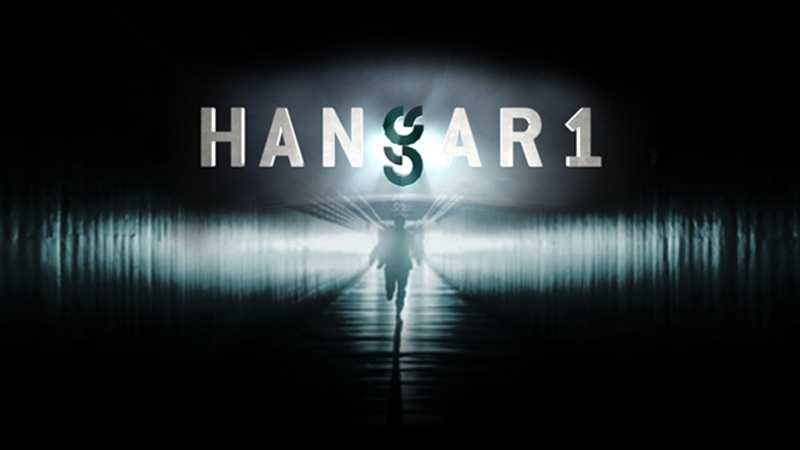 Inside Hangar 1, MUFON archives contain dozens of reports of UFO crashes–yet few of these incidents ever reach the public. In 1976, a UFO crash along the Gulf of Mexico leads to a confrontation between the U.S. and Mexico, with a deadly aftermath. In the 1800s, a small farm town holds a public funeral for an extraterrestrial pilot of a crashed flying saucer. And in Kecksburg, Pennsylvania, one man's search for the truth behind a 1965 UFO crash may have led to his murder. Who is covering up evidence of UFO crashes, and how far will they go to keep you from knowing the truth? VF : Pourquoi les incidents liés aux OVNI sont-ils systématiquement passés sous silence et ce, quel que soit l’endroit du monde où ils se produisent ? Qui impose cette loi ? Comment s’y prennent-ils ? Et surtout jusqu’où sont-ils prêts à aller pour faire taire presque tous les témoins ? Hangar 1 files reveal that President Ronald Reagan's personal encounters with UFOs may have been the driving force behind his "Star Wars" Strategic Defense Initiative. VF : l'armement spatial - Les enquêteurs continuent de fouiller au cœur des dossiers et s'interrogent sur l'existence d'une flotte secrète lancée en orbite autour de la terre par les Etats-Unis, dont le but serait de protéger la Terre des menaces extraterrestres. Commercial airline pilots and flight crew spend more time in the sky than anyone. It's no surprise, then, that many UFO sighting reports have been generated by pilots and airline personnel. UFOs have chased commercial flights and even collided with them. One UFO hovered in plain sight above Chicago's O'Hare Airport and was seen by dozens of witnesses. However, despite thousands of sightings, pilots are still discouraged from publicizing their experiences, and the few that do have faced professional ridicule and loss of their jobs. 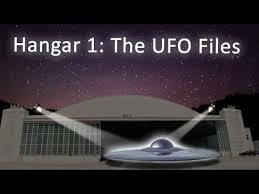 Hangar 1 files uncover many UFO incidents, and suggest that the next time you fly, keep your window shade open. You never know what you might see up in the skies. VF : Depuis des décennies, les pilotes et autres professionnels du secteur aérien ayant rencontré des OVNI sont fermement invités à garder pour eux leurs histoires. Pourquoi ? Qu’est-ce qui se cache dans le ciel que les autorités sont bien résolues à garder secret ? Selon la chaîne Histoire, la saison 2 de cette série de documentaires démarrera le vendredi 3 avril 2015.